Cycling innovation by the people who ride. CycleHack is a global movement that empowers people to design, prototype & test new ideas that improve the experience of cycling & get more people on two wheels. We prototype new products, services & physical spaces from the ground up & test our ideas out in the street. We run events & spark innovation around the globe. We activate year-round conversations across a global network of cyclists. We facilitate & inspire organisations to co-design with local citizens. Join us as we launch our 2018 Global CycleHack Event! Tune in at 6pm GMT next Monday, 12th February! 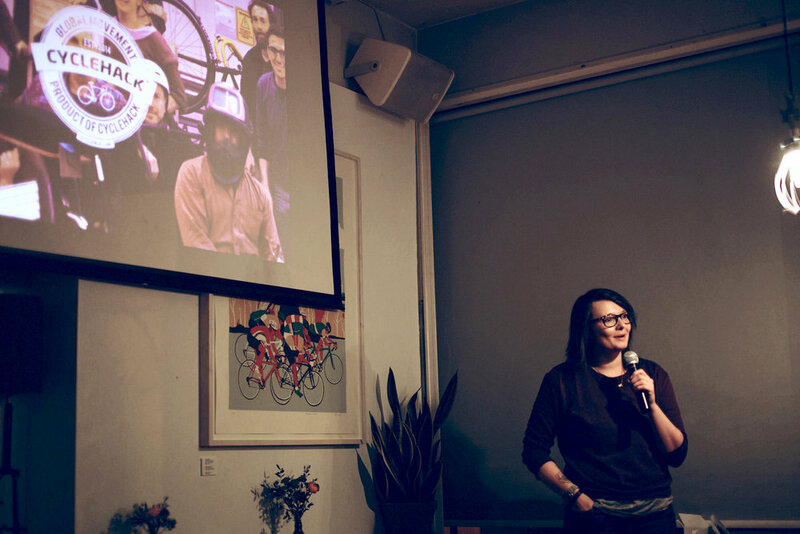 CycleHack brings human-centered design to the cycling world. As citizens, we are all experts in our own right. We all have countless hours of experience travelling through our local streets, interacting with other road users & using the products / services that surround us. We believe that it is only through empowering individuals & helping them tap into this expertise, that we will see real, meaningful innovation that improves the experience of cycling for all. Find out how we are collaborating with some amazing organisations & brands to grow CycleHack.